Smart homes might be the house of the future, but there is still a blooming market for the homes of the past. 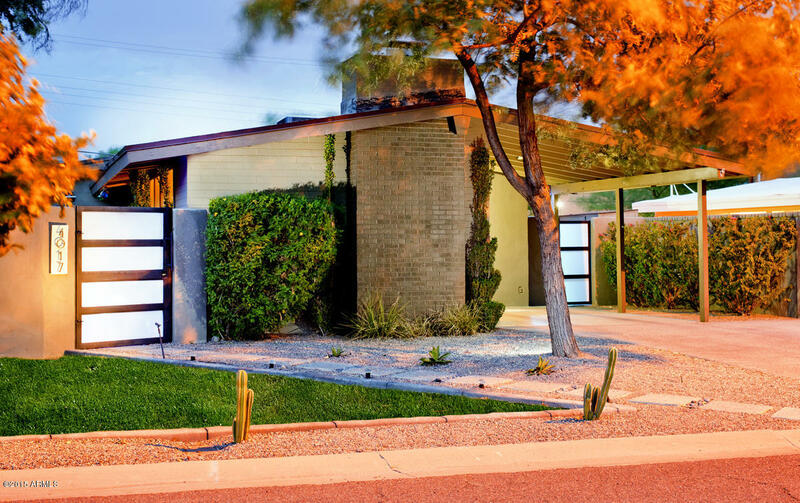 Specifically the mid-century modern "Haver Homes" that were once iconic to this desert city. Ralph Haver, along with his family, created some of the most recognizable housing profiles associated with mid-century styles; featuring sloping roofs, large chimneys, and clerestory windows. Scattered through out the valley are clusters of these Haver Hoods where some original track homes still stand, but once they hit the market they are quick to be snatched up by design and history lovers. Below are some of our favorite Haver Homes to hit the recent market. Some need a little extra hard work and love to bring them back to their historical glory, while others have already been swooped up and modernized while preserving all those unique design elements (we can't believe people lived here with out centralized air!). Want to see more of these homes? Follow this link for the complete listing details!